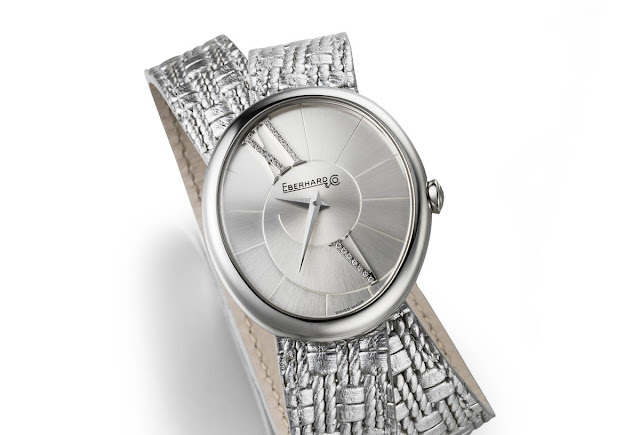 Eberhard announced that their Gilda model, an elegant timepiece for Ladies characterized by soft lines, is now available with a new silver effect strap. This new gleaming silver coloured leather strap, featuring a special finishing with an attractive weave, makes the watch even more feminine and seductive with its “oversize” length encircling the wrist. The strap is fastened with a steel buckle featuring the personalised “E”. 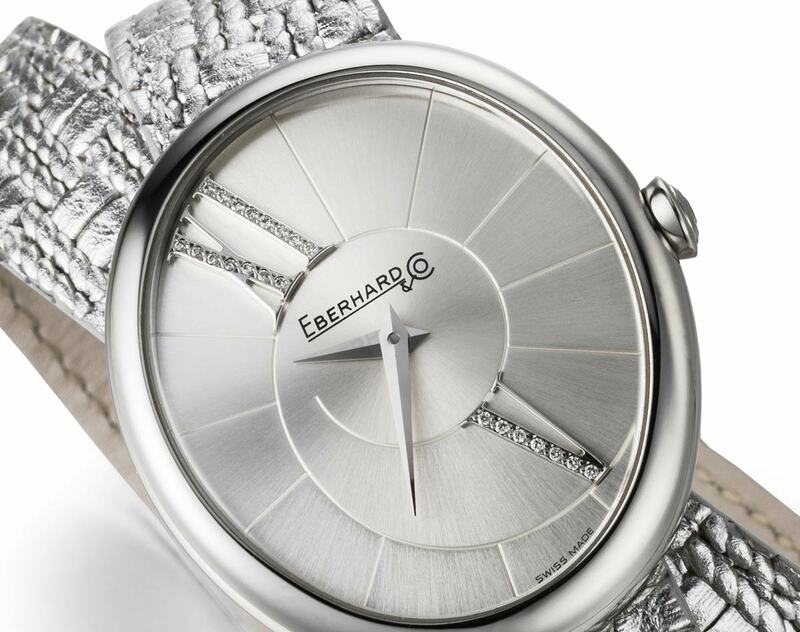 The distinctive oval case (32 mm x 38 mm) has clean-cut minimalist lines and is crafted from stainless steel nicely matching the strap. 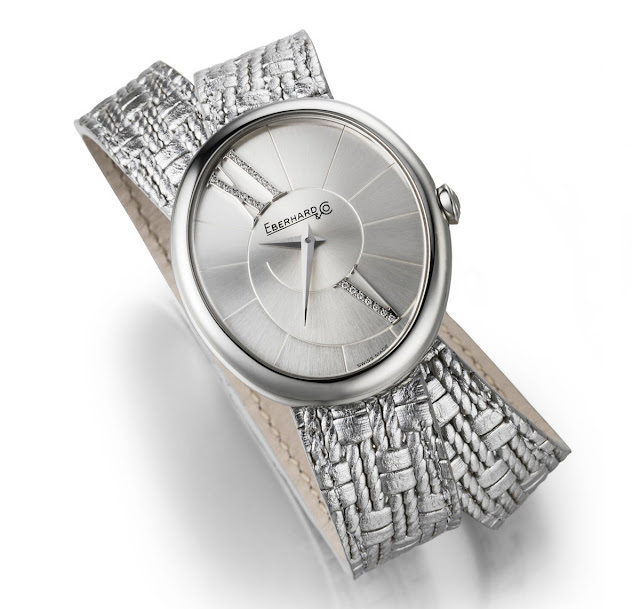 Adding a touch of originality, the white mother-of-pearl dial displays the diamond-set “XI” and “VI” Roman numerals in place of the “XII” and “VI” that one would expect. Powered by a quartz movement and protected by a patented spherical and domed sapphire glass with an anti-reflective treatment, the Gilda’s back is engraved with a twisted floral motif and secured by 4 concealed screws.